As a full-service video marketing agency, Flight Creative Media has a unified mission to help our clients tell their stories through visual media. However, as creative individuals, we each tend to approach the same work in our own unique way. Video editing is no exception. Everyone who works here at FCM has spent their fair share of time in the editing room, and we’ve each developed our own personalized strategies and workflows. And since we all need to use the same editing software, we need a program that's versatile enough to play to all of our strengths. A rigid and restrictive editing program can easily stifle both creativity and productivity. Fortunately we use Final Cut Pro X, and we couldn’t be happier about it. And as one of the most respected blogs on the internet (no way to fact check that), we’ve taken it upon ourselves to trumpet the virtues of our editing program of choice. In Part 1 of this series, we offered up some historical context for FCP X's still-shaky public perception. The release of Version 10.0 was rife with controversy, as Apple gleefully killed and/or maimed a number of well-established features. It was the software equivalent of the Red Wedding in Game of Thrones. Thankfully, the newer seasons of the Final Cut Pro saga have more than made up for its tragic backstory. Apple continues to streamline core functions, while expanding the user experience to accommodate a wider variety of editing styles. For those who are on the fence, or still skeptical after the bad press of version 10.0, this week we're highlighting just a few current FCP X features that allow for great functionality and workflow for pro users. It's all part of our benevolent plan to boost Apple's revenue, so they can finally make something of themselves. They really need this, folks. We take Libraries for granted now, but prior to Version 10.1 there wasn't really a unified, simple way to manage projects and source files together within Final Cut. We had Events folders that held the source media (footage, images, music, etc. ), and separate Project folders that held the Final Cut program files, where editing progress is saved. This made about as much sense as trying to paint a portrait of a friend, but only while they're not in the room. Separating the subject from the canvas, so to speak, made project management needlessly cumbersome. It often resulted in disconnected media – or more frustratingly, loss of project progress. In response to users' frustration, Apple introduced unified Library folders with 10.1, and what a difference it made. Libraries unify Events and Projects under one umbrella, allowing editors to freely manage footage, audio, keywords, and project files in one place, however they see fit. This allows for a great deal of flexibility in terms of organization and collaboration. And if storage space is a concern, it's now much easier to store media in an external location, while keeping the associated project files intact. Apple even wrote a white paper explaining Libraries to those who need further clarification. Color balance isn't something most people think about while watching video. On a film crew, however, it's a key consideration during much of the production process. Occasionally, a project calls for stylized color, aka Color Grading – a cinematic effect that gives footage a distinct color profile. Like The Matrix with its stark contrasts and green tint, or Max Mad: Fury Road with its harshly saturated desert scenery. However, most of our projects call for accurate color throughout, which presents its own unique challenges. Before the editing phase, most raw footage will look dull and unsaturated. It's purposely captured this way to give editors more control, making it easier to color-correct everything uniformly so that the final video doesn't look uneven. Even so, different cameras, lenses, and lighting conditions will still produce color variations that make it especially difficult to balance it all equally in the editing room. To address these difficulties, Apple introduced the Color Board in Version 10.0. The interface initially took us some getting used to, but its potential was immediately obvious. In simple terms, the Color Board is a unifying tool for tweaking color content, saturation, and exposure all in one place. It's not an all-powerful tool, but it allows for fine adjustments in a quick and accessible way. And much like in Photoshop, you can stack multiple layers of Color Boards onto the same clip, which can be changed or deleted independently. You can even use shape masks to independently correct different subjects or regions within a single camera shot. We're certainly not blind to the fact that other video editing programs probably have effective color balance tools of their own, but speaking from our experience, the Color Board has practically everything we need for all but the most meticulous color adjustments. The Magnetic Timeline was, and still is, one of the more distinctively useful features of Final Cut Pro X. Before version 10.0 was released, Final Cut Pro Timelines were frustratingly literal about clip placement. Think of it this way – when you type a Word document, you expect each line of text to automatically align to the left margin. You don't even have to think about it, it's automatic. But imagine having to precisely left-justify every single line of text by hand. That's essentially how clip arrangement was managed before Version 10.0. Now, with the Magnetic Timeline, clips automatically stack toward the left side of the Timeline, eliminating the need for the editor to fit them together manually. Sort of a high-powered 'snap to grid' function, where all your footage snaps left. It also makes re-ordering your clips incredibly simple. Grab a clip, move it left or right, then let go. The 2 nearest clips will make room for it and place it between them automatically, leaving no gaps in footage (unless you've already added them deliberately). For pro users, Magnetic Timeline was a godsend. There's nothing more frustrating than having your creative workflow interrupted by tedious busywork. However, most editors will occasionally want the option to position a clip and have it remain in place. In anticipation of this, Apple also created Gaps, or blank clips that disable magnetic behavior. Once you've inserted a Gap into the Timeline, you can attach video clips to it, and they'll remain firmly in place above the Timeline. Options... Final Cut has them. These are just a select few of the many features we've come to appreciate about Final Cut Pro X. And we'll continue to highlight its functions and capabilities in future posts, because this is our blog, and we can do whatever we damn well please with it. Having said that, we're grateful to all our readers, and welcome your feedback. 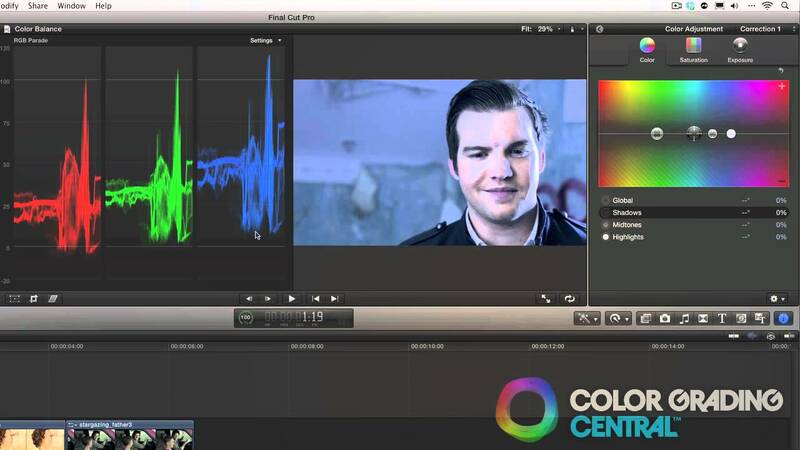 Do you have a favorite feature of Final Cut? Or a different subject you'd like us to cover in a future post? Let us know here in the comments, or hit us up on social media! Otherwise, stay in the loop for future blog posts, including Part 3 of our Final Cut series, where we'll explore what a codec is, and why it matters. Because you deserve to know.